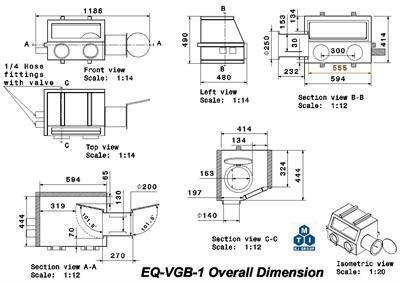 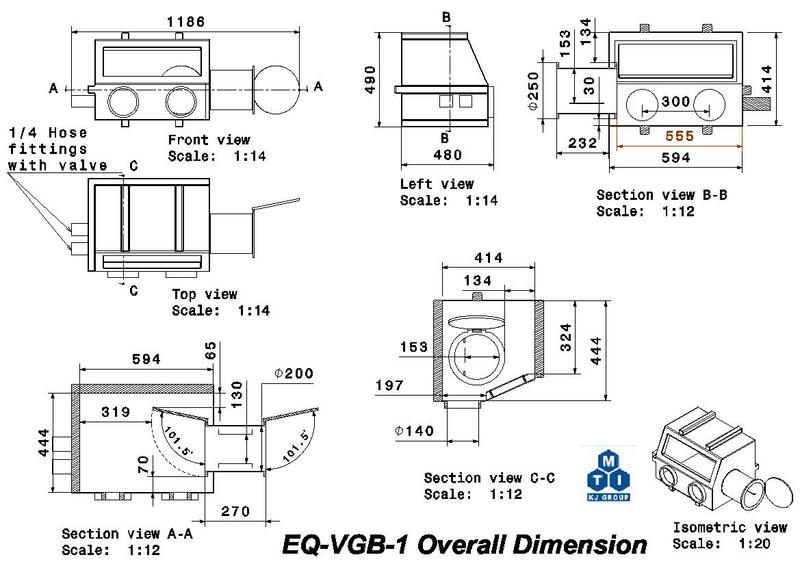 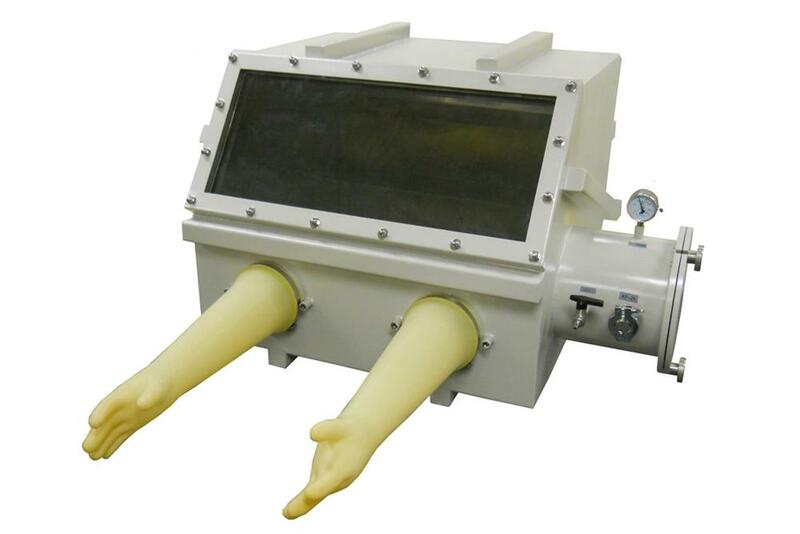 EQ-VGB-1 is a small size stainless steel glove box with Airlock Chamber, Gauges and vacuum Flanges, which allow glove box operate under vacuum to remove moisture and oxygen without expensive inert gas purging, It is an ideal tool for material and chemical researchers to process air sensitive materials and solutions. 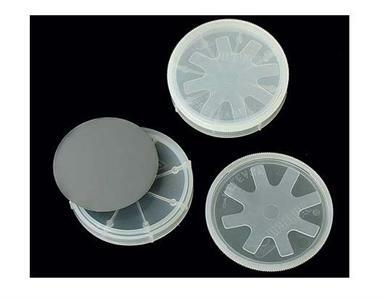 Do not operate under vacuum。Vacuum is used for purging the chamber before operation. 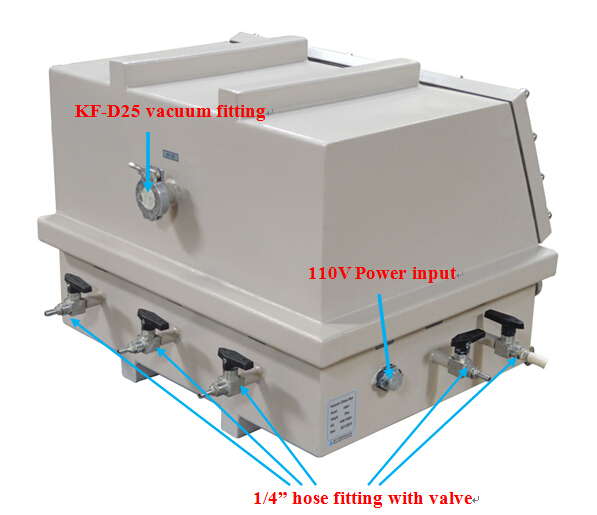 Note: A KF25 Vacuum Right-Angle Valve is necessary for connecting to a vacuum pump, please order it accordingly. 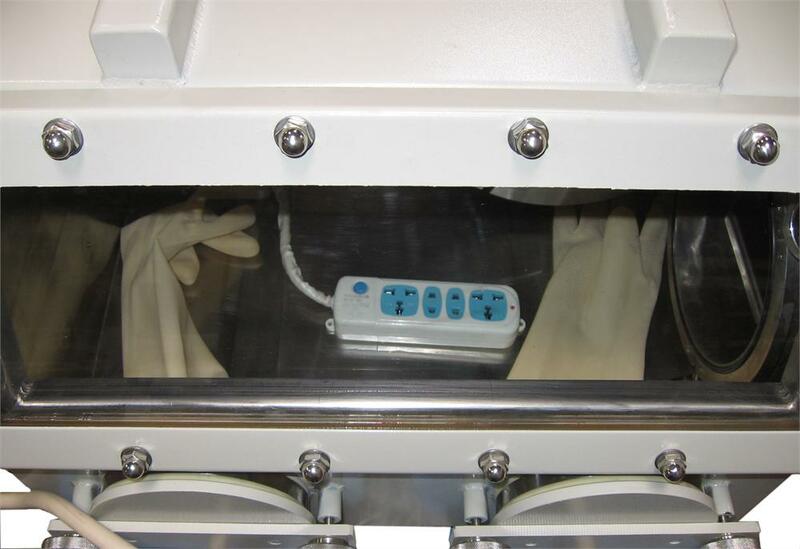 Corrosive liquid (such as LiPF6 electrolyte) must be remain sealed in a container inside the glove box. 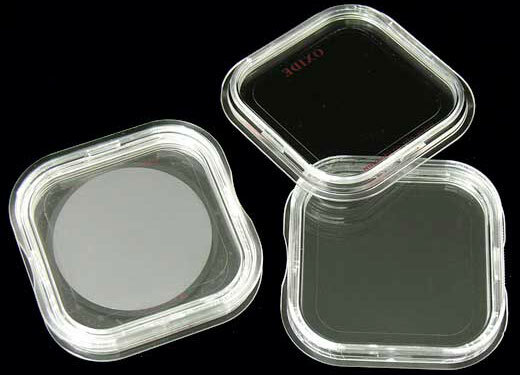 Otherwise, liquid vapor may condense and corrode the steel chamber and purification pipeline. 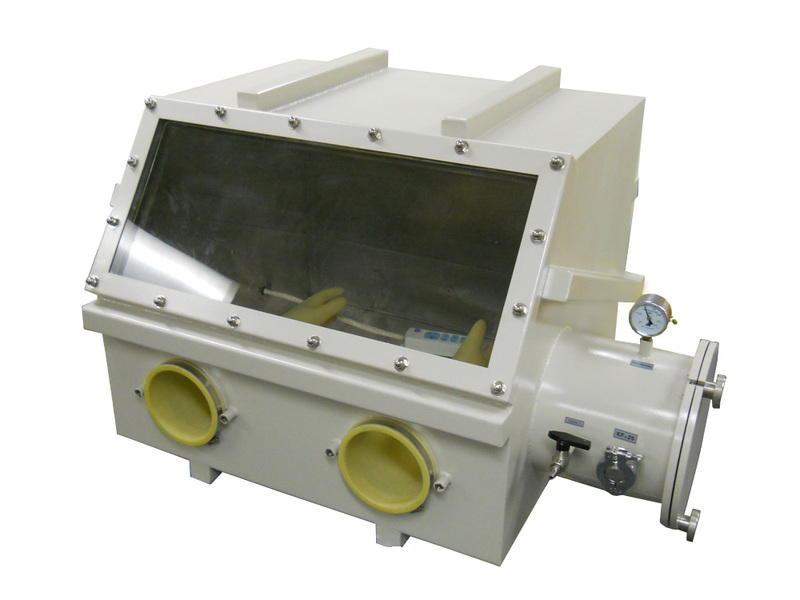 The H2O & O2 removing rate is largely dependent on the type of purging gas used. 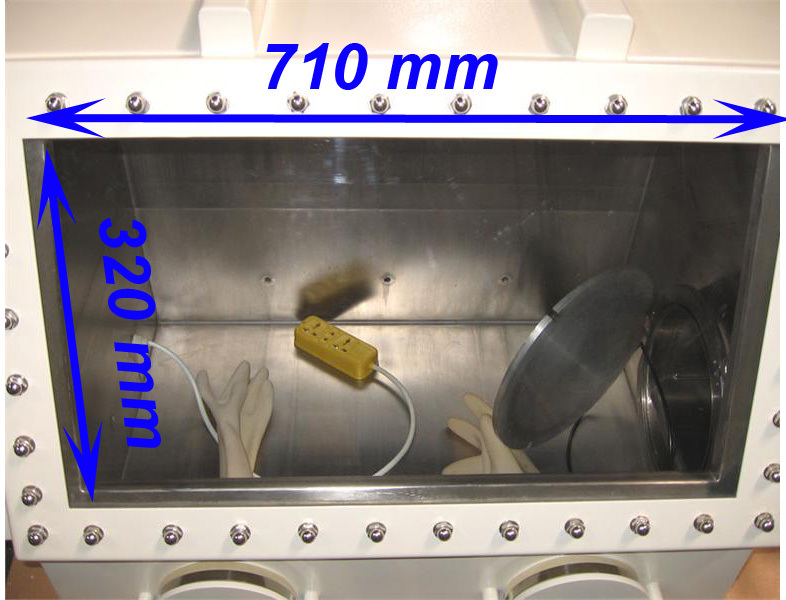 For faster chamber purging process, Nitrogen is preferred over Argon due to its lighter mass. 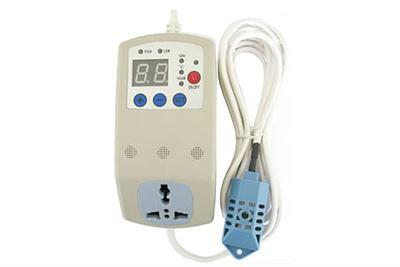 You may choose device below to monitor gas humidity and oxygen content inside the glove box.